Anthea Click is the founder and president of Fresh Perspectives LLC, a home staging and design company in Nashville, TN. She is the exclusive stager to many of the top producing agents in the Nashville area. Anthea has received numerous accolades for her work including Best of Houzz in design and service, “Most Livable” award in both the 2014 and 2015 Parade of Homes and was named Fixr Top 200 Home Design Influencers of 2017. She was also a featured designer for Kirklands and appeared on the popular show, Designing Spaces, as a guest designer. Her expertise is renowned throughout the industry. She is a sought-after speaker for the real estate community and her expert advice has been featured in Realtor Magazine as well as many other Nashville publications. Before starting the company in 2007, Anthea was a licensed real estate agent but knew that home staging was her gift. “There is nothing more thrilling to me than to help someone sell their home. So many times, we’ve helped homeowners sell their homes much quicker and with a higher sales price than if they had not staged and that fires me up.” When not at work Anthea loves to spend time with her family traveling. There is JOY in creating inspiring spaces that evoke a warm, relaxed, & collected feel. However, when we see our same spaces, day in and day out, we often lose perspective. Gracious Spaces brings its clients a fresh set of eyes that provide practical, functional solutions while adding a timeless, classic appeal. Through our interior styling/restyling services, we are able to help homeowners better tell their own unique story. Home should always reflect those things we cherish most. Best of Houzz 2016 and 2017, Thurman Design Studio provides creative & thoughtfully executed interior designs for developers & individuals with projects both large & small. Originally from Los Angeles, Laura brings a fresh and different approach to design. Pulling form her experiences in L.A., world travels and her creative passions, her team creates that unique individual look to set your space apart. Don't live in the same city, no sweat her unique process called "E-Design" allows for communication and design projects for her clients no matter their location or size of project. Our goal is to educate and inspire our clients as we collaborate together, to create beautiful spaces that reflect their values and personality. A good home design professional will hone your style down to its very essence and be able to choose a functional layout that feels natural to you. Interior design companies can be involved as much or as little as the client desires. Many clients who hire an interior decorator in Nashville, TN — particularly those who are remodeling — have a good sense of how the room should look and what products they should use. Often clients will insist that interior decorators use the products already present in the house. Other times a designer will need to start from scratch — especially if this is a newly purchased or just-built home. An interior design company will need to figure out exactly what the client needs, which includes organizing rooms, picking flooring and wall colors, and finding furniture to complement it all. Sometimes that means he or she will have to recruit help from other Nashville, TN home professionals to help create the perfect look for your renovation. Here are some related professionals and vendors to complement the work of interior designers & decorators: Architects & Building Designers, General Contractors, Home Builders, Design-Build Firms, Photographers. 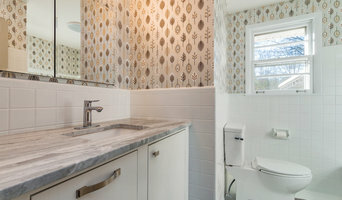 Do your research before meeting with an interior designer or home decorator in Nashville, TN. Ask yourself what you want your space to become and what it will be used for. Figure out the extent of what you need help with, what your must-haves are and what your budget is. Interior design services can add up fast, so be up front with a potential design firm or individual from the beginning. Also, pick an interior decorator that fits your style. 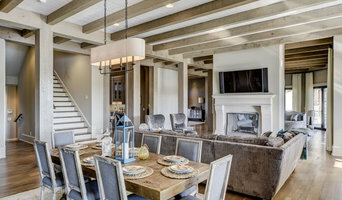 Browse through the portfolios of different Nashville interior design firms and decide if you would live in those houses. Just because you like something doesn’t mean you could live in it. There's a big difference! 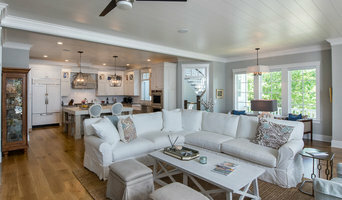 Find an interior designer or home decorator in Nashville, TN on Houzz. Narrow your search in the Professionals section to find Nashville interior designers near you. 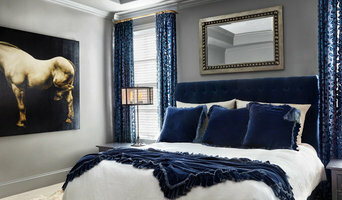 You can also look through Nashville, TN photos to find a room you like, then contact the design firm who designed it.